Being a parent of young children has made me an expert in a few different, new, and exciting fields. You need to talk about superheroes, I am your man. If you want to discuss which lullaby CDs are best, and more importantly, work, talk to me. Which TV shows for kids might actually educate your child, I’m an e-mail away. Also, if you want to know about Pixar, I have an altar for them in my house. Well, maybe not a real altar, but it does feel that way sometimes. Of course, can you truly use the word altar to describe a state that seems to have taken over your whole house? From the toys on the ground to the boy dressed like Dash from The Incredibles. In my house, simply put, we live Pixar films. Heck, when I discovered I was going to be having a daughter, her first present from me was a talking Jessie doll. Looking back, I think I honestly made the purchase immediately after calling my family members. Yet, my own personal love for Pixar goes beyond just the joy they give to my children. As a student of film and a writer, I respect them more than most filmmakers working today. I have yet to be disappointed by a Pixar film; and their weakest film is still far and away better than most exhaled from other studios for our children to consume (Alvin and the Chipmunks, how about The Smurfs, Shrek, etc. ; I feel dirty just referencing these films in an editorial about the genius that is Pixar). Let me start by saying that the one thing I hate that has emerged over the last two decades in filmmaking for kids is the “wink” to the parents forced to watch along. The Shrek films, and Dreamworks in general, are very guilty of this. It’s like the filmmaker and parent are sharing a little aside that says “Isn’t this silly and ridiculous?” dismissing in a way what the children are supposedly enjoying. Now, I’m not dismissing the idea of telling a joke for the parents and not the kids, but many times these “winks” are done at the expense of the movie and the reality of the film overall. I have to admit each time I see this done, it leaves me feeling that not even the filmmakers respect what they are doing, and they are expressing it to us at that moment. Isn’t that a sad thought? Pixar films are imaginative; they expect us as viewers to enter their world with a certain level of “suspension of disbelief” in toll. To make these worlds and characters believable, they present characters that fully believe that it is real as well. There are no “winks” or little digs at the idea of it being only a film, since they know that will hurt what they are trying to create. In other words, the presentation, the performances are honest from beginning to end. The characters believe, you as the viewer believe. The characters care, and you care. The characters feel and you feel. That is honest storytelling, in my opinion, and it is rare in children films today. Think, for example, of the beginning of Up. While others might have questioned the idea of showing an entire life (from childhood to death) in the first few minutes of a film, Pixar does that because it is real; and, because of that decision, you care more about Carl, and understand him because you experienced the loss with him. Pixar films convey honesty on every level to me. Even in the films around Cars, where others filmmakers might have had a hard time carrying such a premise all the way from beginning to end, Pixar does it and we believe it, because for the cars it is real, no question (even though I still wonder why they have doors). The Toy Story films have talking toys, but they are really about friendship, aging, and finding one’s place in the world. Finding Nemo has fun fish, but it is about the love of a parent to a child, and the difficulty in letting your child grow up (I get teared up just thinking of it… there I go again… just a minute… okay, I am okay now). Pixar films are always more than their premise. And you can see it in each film, with the amount of detail given to all of the characters (and their own growth and plot points) and their detailed and well-structured plots (which have usually a simple premise and then expand into something much more detailed and unique). Consider The Incredibles, a film about a family of superheroes. Now, while most filmmakers might just throw a bad guy into that premise and move on, Pixar adds other layers, and each character has an arc of discovery and growth. Bob, the dad, has to learn that while being a superhero is great, the really important thing is his family. He is the main story, but each of the minor characters have their own little arc; for example, Violet (the teenager) has to learn confidence and self-assurance in her own skin…. All this, and the film is still a hell of a lot of fun to watch. As a writer, I would love to sit in on one of their storyboard meetings, hearing them work out the beats for the plot and the characters for a story. They are masters of this, and if I was teaching a 101 course today in screenplay writing, I would get my hands on one of their scripts and break it down for my students. There is an art to good film writing, and if you don’t believe me, I can point to over a hundred films a year that prove what the results are if you don’t take the time Pixar does. Yes, filmmaking is a business, it is about making money, but what Pixar does is more than about the money; its about the story. And because of that these films are going to outlast all of us, especially the bad films that come out each year for our kids. While Pixar has grown over the years, the technology has grown right along with them. A great example of this is to sit down and watch the Toy Story trilogy. While the first two hold up story wise, the visual work of the third one in comparison is almost startling, and shows the leaps that have been made over the years by the Pixar team. Consider Andy and how he looks in the first two films and in the third. He looks so much more human in the third film (his eyes, his hair, etc.). The advancement of the technology seems to follow each film. From Finding Nemo’s beautiful underwater landscape (with its many moving layers and colors) to outer space in Wall-E (I must admit this is my favorite Pixar film) to the fur on “Kitty” in Monsters, Inc., I know going into a Pixar film that not only will I be getting a well-told story, but also something I have never seen before on the screen. Does any other studio promise something like this to a filmgoer? Maybe Peter Jackson and James Cameron, but they are filmmakers, not a working studio. Pixar and the technology are evolving and we are watching it happen live with each new film and short they present. 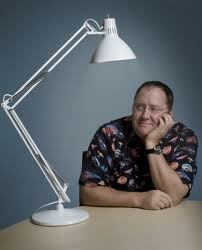 If I was to ever be lucky enough to meet John Lasseter, and after begging to let me give him a few pitches for script ideas, I would want to say thank you. He and his team at Pixar have given me and my kids a wonderful gift. They have added to our lives together, giving us something to talk about at the dinner table and share together in a theater. And for that, I will always be grateful for their films and in line on opening weekend for years and years to come. If you liked reading my article, why not check out some of my books? 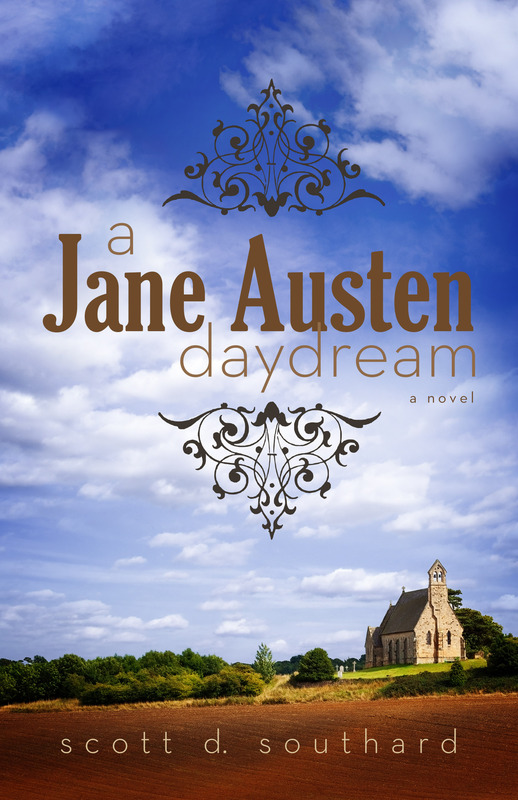 I had two novels published in the last few years, the new A Jane Austen Daydream, Maximilian Standforth and the Case of the Dangerous Dare, My Problem With Doors and Megan. You can find them via my amazon.com author page here. Thanks for reading! This entry was posted in Film and tagged A Bugs Life, Animation, Cars, Cars 2, character development, children movies, directing, Disney, Dreamworks, Film writing, Finding Nemo, James Cameron, John Lasseter, Kids, Life, Monsters Inc, Movies, Parenting, Peter Jackson, Pixar, Screenplays, Shrek, The Incredibles, Toy Story, Up, Wall-E by Scott D. Southard. Bookmark the permalink. Hello!! I’m really enjoying your blog and i have nominated you for the Sunshine Award!! Enjoy!! Thank you! That is very flattering. I’m glad you are enjoying the site. So tomorrow Brave opens. I already have tickets to see it with my son. I have to admit I am pretty excited about the film, especially since all of the ads we have seen are from only the first act of the film. I love going to the movies and not knowing what to expect, it is so rare that occurs. There is also going to be an ad in front of the film for the new Monsters, Inc. film. I have to admit I have some misgivings about Monsters, etc. While I loved the film, my son (who is four), has not yet considered the idea of monsters under the bed or in the closet. I feel like showing him Monsters, Inc. (or the new one) will just open a can of worms that will be impossible to put back in; he has quite the imagination. Love your blog. Maybe you should hook up with kevin_rau on Twitter, another superhero fan with all his characters. I think you’d get along well. In the meantime, I’m following you. I love Pixar. Their winning “A day in the life of…” formula has lead to some wonderfully imaginative films. Also by far my favorite of the lot (in fact now one of my favorite flims, period), WALL•E is a masterpiece – the imagery, the music, the starkness, the entire first act without dialogue…brilliant. The opening gives me chills, and it’s hard not to tear up at the ending. The Incredibles would be my #2 pick. With all the sequels they’ve been doing lately, I’m kind of surprised we haven’t heard about a follow-up to it – I would think it has the most obvious potential for another installment. Wall-e is my fave. My daughter is obsessed with M from Brave. She sleeps with a doll from it. I’d like to defend Shrek here because even though that was, technically, a kid’s film it was a satire of fairy tales first. All those winking jokes towards adults were meant to be there. The later Shrek movies are all pretty terrible though I will admit. But then Cars 2 does the same thing, they knew it would be dads taking their kids and stuck a bunch of lemon humor that even the vast majority of adults don’t understand. But I’m glad you mentioned the technology behind Pixar because they really are amazing. They really do deserve all of the awards that they win (except for Brave because Paranorman and Wreck-it Ralph were brilliant, brilliant movies). I think you are the first person on my blog to defend Shrek to me. Interesting… I get that it was a satire, but kids don’t get satire. There are a mountain of films they would need to see before they could enjoy that first film fully… And I agree that the first film was a lot better than the later ones. I think what makes Pixar shine is that they focus on story and characters first. Technology is fine, but it is the story that makes us return to their films again and again.